The year is 2073. Earth’s climate is collapsing, her ecosystems breaking down. Her ever-increasing population now relies on food and energy supplies from colony worlds. A routine exploratory mission to the planet Fiix finds conditions at odds with the initial probe: instead of a sunny desert, the planet is deep in an arctic freeze. But a sudden thaw brings murderous storms. 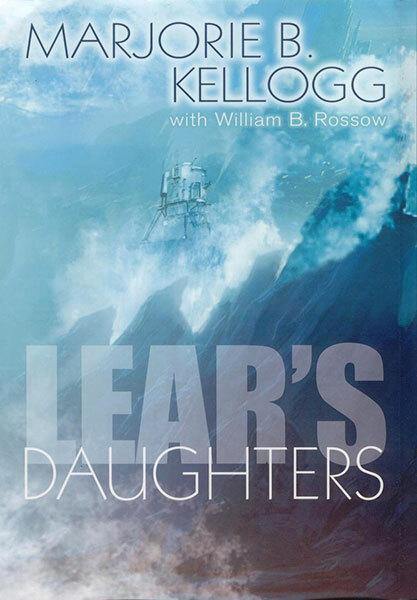 Flooding devastates the Terran base camp, cutting all power and communications links and forcing an evacuation to the cliff dwellings of the local population, the Sawls. This seemingly primitive society is shaped entirely by the needs of survival within the planet’s harsh and unpredictable climate. The Sawls claim that twin Sister-Goddesses wield the natural elements as weapons of war, with the entire planet as their battleground. The expedition’s young linguist finds himself drawn into Sawl culture and myth, and increasingly convinced that these bizarre beliefs are true. But an indigenous population is a mere impediment to the expedition’s prospector, whose mining-giant employer has funded the survey. He is in search of new sources of lithium, a crucial component of energy production back home. And so the sides are drawn in the fight to save the Sawls and their planet from exploitation and development. But growing evidence suggests that the Sawls are not simple primitives after all, and that their history is far deeper and more sophisticated than was first assumed.